We occasionally post testimonial stories on our blog, but this time we thought we’d let the pictures do the talking – as they say, a picture is worth one thousand words! 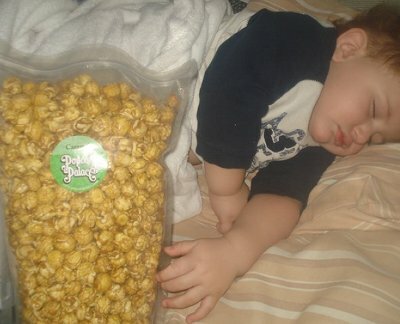 Check out some of our best fan-submitted popcorn appreciation pics below. Share your own pop picks on our Facebook page! It’s that time again! We have lots of popcorn to give away and we want to share it with all of our friends and followers. 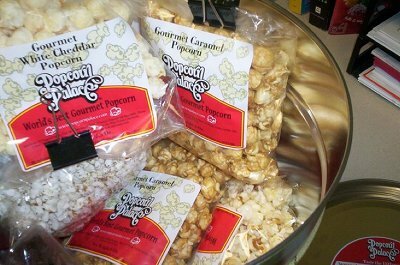 All you need to do to win yourself some delicious gourmet popcorn is tell your friends about us. Between now and the end of April, we’ll be giving a way a free bag of popcorn to one of our social media friends whenever we meet certain follower and/or fan levels on both Twitter and Facebook. To increase your chances of winning, follow and/or “Like” us and tell your friends to do the same. The more people that join, the more popcorn we will give away. For every 30 new “Likes” we get, we will randomly give away a free bag of popcorn to one of our fans. Win FREE popcorn by “Liking”www.facebook.com/popcornpalace . 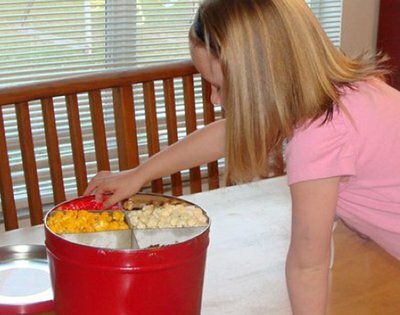 The more likes, the more popcorn is given away! For every 30 new followers we get, we will randomly give away a free bag of popcorn (remember, we have 27 flavors to choose from) to one of our followers. 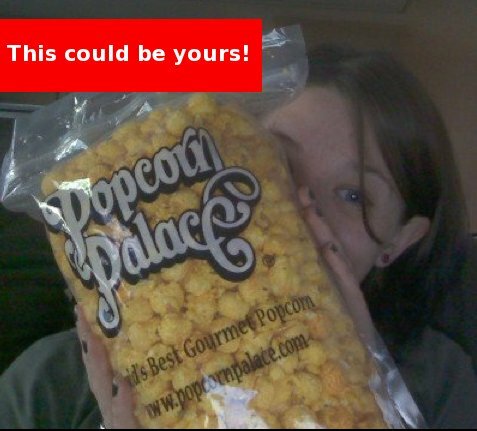 RT @popcornpalace Win FREE popcorn by following @popcornpalace. RT to increase your odds! Prizes will be randomly awarded to an existing follower whenever required levels are met. Winners are responsible for responding with their flavor choices, postal addresses, email addresses and phone numbers (for our shipper). This promotion is in no way sponsored, endorsed or administered by, or associated with, Facebook nor Twitter. 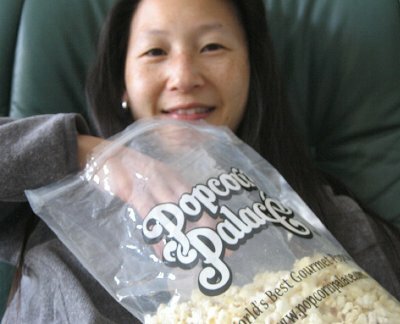 You understand that you are providing your information to Popcorn Palace and not to Facebook nor Twitter. Whitney Williams has a great attitude and is always ready to offer up a smile. She bravely and gracefully lives her life despite the many difficulties she faces. Since birth, Whitney has been affected by the condition cerebral palsy, which is a common congenital disorder that affects about 500,000 children and adults of all ages throughout the United States. Cerebral palsy involves the brain and nervous system, affecting muscle tone, movement and motor skills. While there is no cure, the utilization of stem cell transplants is often used to try and combat this condition. Hoping to provide her granddaughter with every opportunity, Carolyn Brasher was able to raise the funds for a first stem cell transplant, which she says has helped Whitney tremendously. Showing great improvement, Whitney is now able to play cards, which is one of her favorite past-times. Carolyn is trying to raise money for a second transplant, which could continue to improve Whitney’s ability to use certain functions and her overall quality of life. 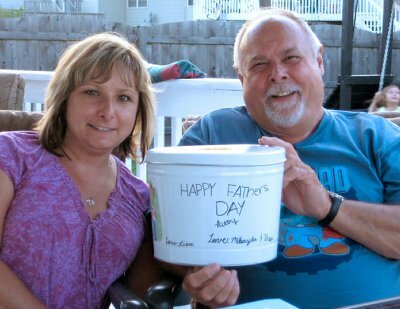 Carolyn shared that she has raised almost $1600 so far with Popcorn Palace’s fundraising program! Popcorn Palace would like to wish Carolyn and Whitney all the best in the future! 1. Why does your group want to raise money? 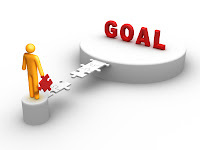 Establish the motivation behind your fundraising efforts so everyone is on the same page. 2. What are your plans for the money your hope to raise? Whether the profits will go towards uniforms, classroom equipment, a trip or a college fund, it is important to understand how the funds will be allocated to help set a goal. 3. How much money do you need to earn to meet your goal from question #2? maintenance or repairs that may be necessary down the road. Be realistic and refer to your research to establish how much money you really need. 4. How much time will you need to accomplish your goal? Most fundraisers will typically run for 2-3 weeks, but the choice is entirely up to your organization. Try to avoid running a fundraiser for too long, as enthusiasm may start to dwindle. Having this discussion will give everyone in your organization a chance to contribute their input and make sure everyone is working towards one goal.